Starting her musical career in Christchurch New Zealand, Ladi was part of the all-girl hip-hop group Sheelahroc, who had the hit track 'If I Gave You The Mic' and Ladi was nominated for Best Vocalist/MC at the 2003 bNet Music Awards. Ladi then moved to Auckland with her band Verse Two who quickly gained a reputation as a top New Zealand live soul/hip-hop group. They won the bNet Best New Act Award in 2004, toured New Zealand with packed shows and supported international acts such as The Roots and De La Soul. Ladi's vocals feature on stand-out tracks by some of Aotearoa's finest talent, including Shapeshifter, Scribe, Fat Freddy's Drop and 50Hz. She spent six months living in Berlin and touring Europe in both 2010 and 2011. 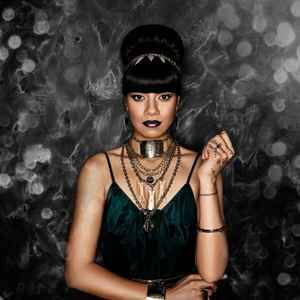 Her debut album Time Is Not Much debuted at number 4 on the New Zealand Top 40 Album chart. and her second album The Liberation Of... debuted at number 6 and was certified gold. Her single Like Water was certified platinum in June 2011. She has won many awards, including Best Female Solo Artist and Best Urban Hip Hop Album at the 2011 New Zealand Music Awards and Best Urban/Hip Hop Album at the 2009 New Zealand Music Awards. As well as producing most of Ladi6's music, her partner Parks also provides backing vocals for many of her tracks.